Pale yellow and beige campaign signs litter the front yards of homes along Broad Street west of Highway 101. That glossy paper on short metal stakes advocates for San Luis Obispo mayoral candidate Keith Gurnee in thin blue letters near the sidewalk of the homes next to his. The hue is almost an exact match to the paint on the side of Gurnee's house, a dark indigo hidden between the soft auburn of tall redwood trees along the creek bed. BUILT ENVIRONMENT The Chinatown development project between Palm and Monterey streets in downtown San Luis Obispo has been in the works since 2007, was approved in 2009, and has been under construction since 2015. The development will include 16 condos, a 78-room hotel, and restaurant and retail space. Across the street, the bold red of a re-elect Mayor Heidi Harmon sign stares back through the haze of parked car windows and foggy morning air. A solitary rose outlined in white gleams, lonely and proud between neighboring homes in opposition. It's election season, and the ghost of contentious discussion is hanging over this particular section of town. Neighborhood residents have shown up at Planning Commission and City Council meetings over the last few years to voice opposition to almost any iteration of the Anholm Bikeway Plan and to the mixed-use development projects proposed near their neighborhood. It's a microcosm of the development debate that's followed city residents around since the 1970s/1980s, spiking with each little growth spurt before lulling back into periods of almost no growth. With buildings under construction all over town, it seems as though the discussion is reaching a fever pitch just in time for the November election. In January this year, a group of residents posted on the social media site Nextdoor, searching for City Council candidates who share "many of our values and concerns." 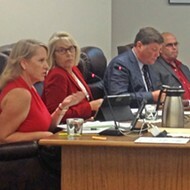 "You may believe that you're lacking the qualifications, but if you are seriously involved as a member of the community ... this would compare very favorably to the minimal experiences many of our current council members had when they first ran for office," SLO resident Bob Shanbrom posted. "Those values and concerns include protecting our neighborhoods, safeguarding our wildlife and open spaces, avoiding traffic congestion, protecting our water supply, preserving our small town charm, and insuring [sic] responsible, sustainable growth." New Times reached out to Shanbrom for an interview about the group calling itself SLO Neighbors United. Although he did mention that they were endorsing Gurnee for mayor and City Council candidate Sarah Flickinger, in a follow-up email, Shanbrom said the group asked him not to be interviewed. 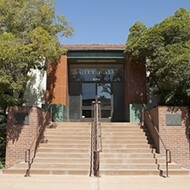 "The only comment we wish to make at this time is that SLO Neighbors United was formed by a group of concerned residents who feel that our city is heading in the wrong direction, that our historic, quaint, unique character is being destroyed, and that resident voices are no longer being heard by our City Council," Shanbrom wrote in an email. The general feeling on Shanbrom's side of the argument is that City Council isn't doing enough to stop the city from moving in that "wrong direction." The development is too tall, too dense, and doesn't keep with the way the SLO's done things in the past. While on the other side of things, there are residents who want the city to do more to address its affordable housing crisis and reduce the number of people commuting into the city each day for work. Build taller, denser housing, with incentives for affordability. The debate leaked anew into a years-long discussion residents, community advisory groups, and city officials have had about the city's zoning ordinance update. 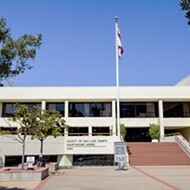 The City Council passed the majority of the updated ordinance at a meeting in August, where several residents spoke out against some of the proposed changes, questioning whether the city had the resources to sustain growth and decrying development that could change the character of SLO. Realtor Steve Delmartini was one of the residents who encouraged the City Council to move forward. 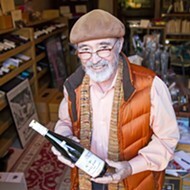 Born in SLO in 1955, he said the character of the city is built on change. Those in opposition to development, Delmartini said, are trying to salvage the city as they see it now. Without the changes that happened in the past, he said, SLO wouldn't be what it is today. "I do think that change is inevitable ... . When I was living here, Foothill Boulevard was a one-lane street both ways, and now it's four lanes," he said during public comment. "This isn't something that happened in the last three months. ... Everything that you're trying to save is because of change." 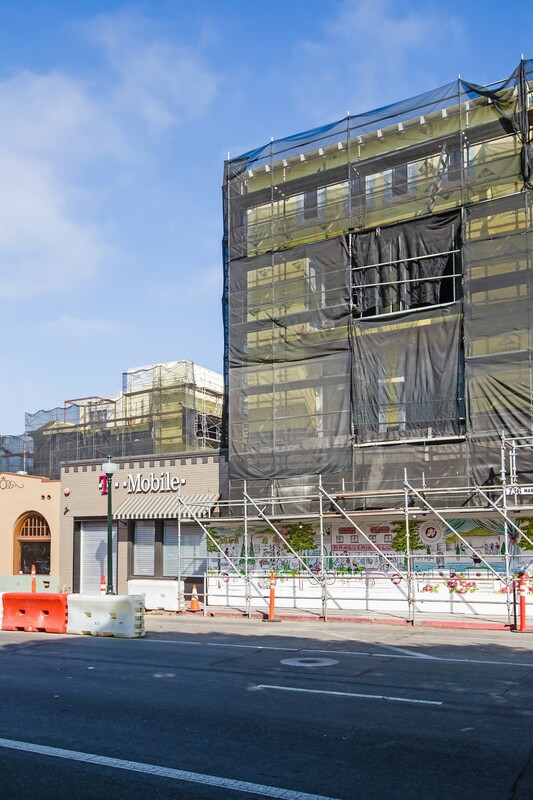 Cranes, cones, workers in hard hats, stopped and re-routed traffic, scaffolding, and closed sidewalks have become part of the downtown San Luis Obispo landscape over the past three or so years. Community Development Director Michael Codron said there are about 68 larger projects in the city's development pipeline at the moment—commercial projects greater than 5,000 square feet and residential projects with more than five units. Some are approved and awaiting building permits, some are still in the planning process, and about 21 are under construction right now. 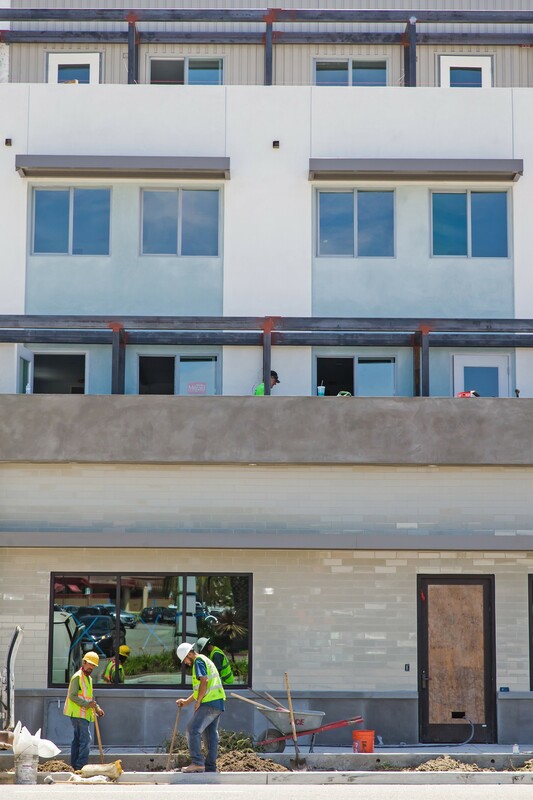 DOWNTOWN TERRACE The four-story, 64-room hotel, restaurant, retail, and residential space on Garden and Marsh streets in downtown San Luis Obispo was approved in 2014, started construction in 2015, and is nearing completion. "The economy is very good and very strong, and there's a strong demand for housing and prices are high—that causes developers to build housing," he told New Times. "It may come in big chunks, but it isn't haphazard. It's built to plan." Garden Street Terraces shut down Garden Street for months, with the occasional forklift blocking lanes of commuter traffic on Marsh Street—lifting sheetrock, rebar, or some other heavy construction material up to the third and fourth stories of the hotel that's under construction. The mixed-use retail space, eight residential units, 64-room hotel, and parking lot has been in the works since 2005, was approved in 2014, and broke ground in late 2015. There are recently approved multi-use projects at 71 Palomar Ave. (2017), 22 Chorro St. (2017), and 790 Foothill Blvd. (appealed) on or near Foothill Boulevard—that could eventually add 12 three-bedroom units, 84 two-bedroom units, 21 one-bedroom units, and 16 studios. About 15 of those units are designated for very low-income households. 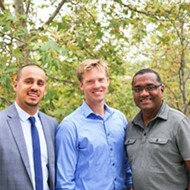 The 720-home Avila Ranch project on Buckley Road and the 580-home San Luis Ranch project near Madonna Road were first brought to the city in 2015 and received final approval from the City Council in 2017. Each project has some affordable housing built into their agreements with the city. "What we're seeing right now is not really the result of a policy shift or a change in the direction of the city," Codron said during the zoning update hearing. Instead he attributes the recent projects to "slow and steady growth since the Great Recession." But residents like mayoral candidate Gurnee don't see it that way. He believes the city is giving things to developers it shouldn't in exchange for a small number of affordable housing units. The projects on Chorro Street and Foothill Boulevard, which are near Gurnee's Broad Street neighborhood, received height and density bonuses in exchange for building affordable housing units—meaning the buildings could cover more of the property and be built higher. "It's a scam," Gurnee said. "Putting the very small-scale affordable housing as an excuse to maximizing high-end market rate housing." The Academy on Chorro is advertising rental rates to students at between $1,325 and $1,290 per bedroom. Gurnee argues that it will be the same at the development on Foothill, should the City Council uphold the Planning Commission's project approval. "What does it say to all the absentee landlords?" Gurnee posited. "Raise your rents." The City Council could do more to push back against developers, he said, even if the state has made it more difficult for cities and counties to deny projects that fit within their guidelines. However, Mayor Harmon contends that people are telling a false story when they say that the city can just say no to projects like those. The argument shifts the problem away from the actual issues, she said, which are that there's a housing crisis and the state is limiting local control. Unless there's an egregious health and safety issue, Harmon said, "there is just no way to say no." SLO Planning Commissioner John Fowler said that because there's a housing crisis, the state is pushing the city to do more, and if the city doesn't, the state will step in. "If the project follows your general plan and zoning, then you better get about approving it," Fowler said. "It can seem like a lot of projects at this point, but really what have we done in the past 10 years? Take the long view, because development takes years to approve and even longer to develop." As for building a small number of affordable housing units into larger market-rate housing developments, Fowler, who's also the director of People's Self-Help Housing, said every little bit helps. "Affordable housing is a critical need. We have people who don't have shelter, they don't have a place to call home," he said. "We need that housing." Over the past five years, SLO has grown at an average of about 0.46 percent per year. With a 1 percent average growth rate built into the city's general plan, its population is estimated to be around 57,000 by 2035—but, "We're not getting anywhere close to the 1 percent," Community Development Director Codron told New Times. The state's Regional Housing Needs Assessment (RHNA) numbers for 2014 to 2019 say that the county needed to build 4,090 housing units for a variety of income levels. A 2013 San Luis Obispo Council of Governments plan estimated that the city of SLO would need to build 28 percent of that, or 1,144 units. According to Codron, about 599 residential units were built in the city from 2013 to 2017. The median price of a home in SLO has risen from $436,000 in February 2012 to $749,000 in July 2018, according to real estate website Zillow. The average cost of a one-bedroom in February 2012 was $848 a month, according to rentjungle.com. In July 2018, it cost $1,406. "This is the kind of reality that the state policymakers are looking at and saying we've got to do something to move the needle," Codron said. 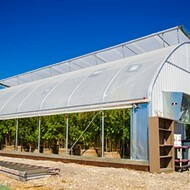 To address the issue, state legislators introduced 130 bills during the 2017 legislative session that focused on "constraining local land-use authority and eliminating local discretion," according to a guide put out by the League of California Cities. The housing package that Gov. Jerry Brown signed late last year included 15 of those bills. The bills allocate money to housing programs, streamline housing project approval, help facilitate off-the-shelf environmental review for certain city housing models, and make changes to the state's Housing Accountability Act that "significantly limits the ability of a jurisdiction to deny an affordable or market-rate housing project that is consistent with existing planning and zoning requirements." "You had another bunch of housing bills come out this year. But a lot of them died," said David Mullinax, the Central Coast's regional public affairs manager for the League of California Cities. "Again, the trend is shaving away local control." NEW DEAL For many residents, this mixe-use development on Chorro Street represents exactly the direction they don't want San Luis Obispo to go—buildings that are too tall, too wide, and out of place and units that are too expensive built specifically for students. The developer of the mixed-use project, Loren Riehl, has a similar proposal in the works for a property across the street on Foothill Boulevard. RHNA numbers are set by the California Department of Housing and Community Development for the county, and laws such as the Housing Accountability Act passed in the 1980s require that local governments zone for housing needs in their areas. "Once it's zoned, if a developer isn't going to come and build the housing, why should a local government get blamed for that?" Mullinax asked. Ultimately, he said, building has to pencil out for the developer. Cities and counties can't force developers to build, and legislators are increasingly putting pressure on local governments to facilitate housing project approvals. The recent legislative changes to the Housing Accountability Act make it even harder for a city to deny a project that meets the standards and guidelines outlined in its city policies—including if a developer asks for height and density bonuses for building affordable housing. Those bonuses are built into existing state housing laws, and the city has the regulations built into its code. Mayor Harmon points out that the reason state rules such as the density housing bonus exist is because there are a lot of people in California who are desperate for housing and many of them are priced out of the market. "It incentivizes some affordable housing for developers to build," she said. "Is San Luis ever going to be affordable? Probably not. But can San Luis become more affordable? I think so." Resource issues such as not having enough water or infrastructure issues like not having roads and stoplights to alleviate increased traffic are the sorts of objective health and safety issues that the city of SLO can use to deny or make changes to a proposed project. Gurnee believes that the city can push back against the Foothill Boulevard proposal based on traffic impacts alone—a total health and safety issue, he said. The need for affordable housing shouldn't outweigh other impacts to the community, he said. "The horse is out of the barn. You can't just take a magic wand and create a lot of affordable housing," he said. "I am for growth that's consistent with our character and scale, not for growth that obliterates it." City Council candidate Erica Stewart, one of seven who are running for two open seats, said although it may feel like there's a lot of development happening right now, SLO's making up for the last 15 years of low growth. "We are catching up with what we need for housing," she wrote in an email to New Times. "It's essential for more people to have the opportunity to live where they work." Affordable housing is a problem, she said, adding that it's hard to rent or own a home even with a salary of $80,000 a year. "This is not right," she wrote. "I can't tell you the amount of subpar housing in which my family and I have lived due to what we could afford when we were working two jobs, raising two boys, and our family dog. A house full of mold, a power line swinging forehead-high from [the] garage to the house, power outages due to old wiring, and so much more. We need places for our workforce to live." Mayor Harmon said she understands how people feel on both sides of this discussion. The built environment is important to San Luis Obispo, as is its greenspace and small-town feel, she said. But people who don't have access to housing are concerned with how slowly residential units are being built. 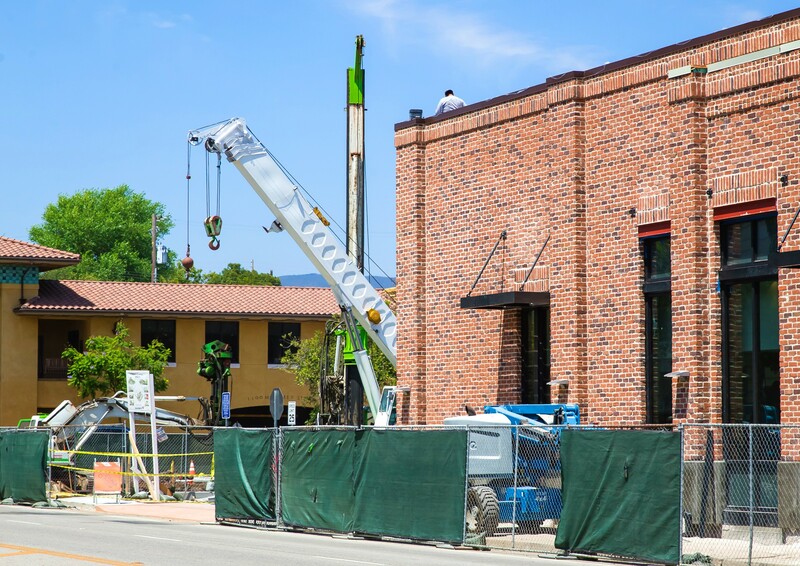 UNDER DEVELOPMENT Cranes, such as this one at a project on Santa Rosa Street, have been visible at sites all over San Luis Obispo, pointing to an economic upswing and commercial/residential development. "San Luis Obispo is a very special, beautiful place. And people want to maintain what's beautiful about San Luis Obispo, and I understand that people are concerned that development will affect that," Harmon said. "I think everyone's concerns have validity, but the problem is that people really need housing." Change is inevitable. San Luis Obispo can't go back to the way it was yesterday or 10 years ago, she said. It's impossible. But the community can move forward with development that fits its plans, plans that the residents of San Luis Obispo have put into place to shape the city's future. 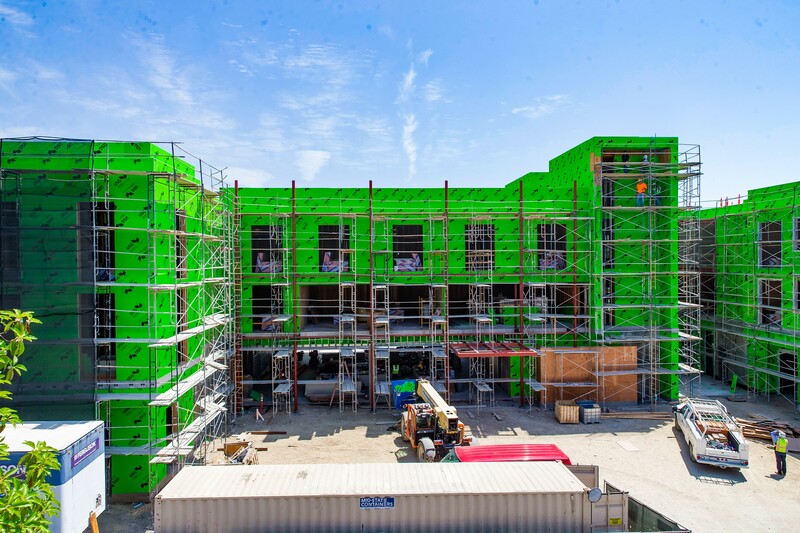 * Correction: An earlier version of this story, misstated the number of residential units that have been built in San Luis Obispo over the last five years.